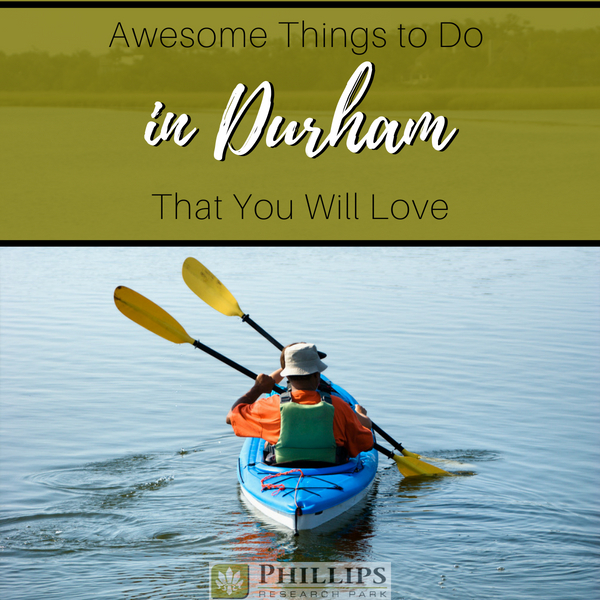 If you are new to the Durham area or if you are looking for something fun to do, then this blog post is for you. Durham, NC apartments make the perfect home base for exploring the Triangle and all this area has to offer. From fantastic nights at the ball park to civil war era history, there is so much to see and do. Here at Phillips Research Park Apartments, we want to be more than the premier provider of luxury apartments is Durham. We want to help open the door to a whole world of soulful and fun-filled experiences. For those who love sports, the Raleigh-Durham area is a wonderful place to live. With 30 colleges and universities in the area, this is a Mecca of collegiate sports. Duke University is just one of the universities that hosts world-famous sports. You can also find major and minor league sports, including MILB Durham Bulls and NHL Carolina Hurricanes. 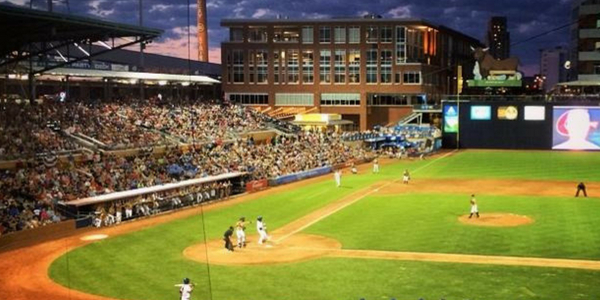 Here are two sport experiences in Durham, NC that you don’t want to miss. The Durham Bulls Athletic Park (DBAP) is home to the Durham Bulls, a Triple-A baseball club. If you have ever heard of the movie “Bull Durham”, then you may already know a little about the Durham Bulls. This movie helped put the team on the map. DBAP hosts baseball games throughout the season, including national games, baseball camps, festivals, and more. A Durham Bulls game is the perfect way to spend an evening together as a family or even for a date night. Tickets are reasonably priced, starting at less than $10. If you are a Michael Jordan fan, then the Duke Basketball Museum & Sports Hall of Fame is a must see. Even if Duke isn’t your team of choice, there are so many sports legends and collegiate accomplishments highlighted at this 6,600 square foot facility. The museum is located adjacent to Cameron Indoor Stadium in the Schwartz/Butters Athletic Center. Admission is free to the public and is open weekdays from 9 a.m. to 5 p.m. Weekend hours are offered during home football and basketball games. Our area of NC is rich in American history, from civil rights to the Civil War. Here are just two of the places that you will want to visit to learn more about the diverse history that saturates the Durham area. If you enjoy living history, then either of these two options are perfect for you. Duke Homestead State Historic Site and Tobacco Museum brings to life the history of Washington Duke and his family, who lived on the property from 1852 to 1874. The site includes Duke’s historic home, farm, and factory buildings. Featuring a time the Civil War, the site interprets North Carolina farming, the life of the Duke family, and the beginning of their tobacco manufacturing business. Step back in time, and see what it was like in Durham over 150 years ago. They offer living history tours and special events. Bennett Place State Historic Site, located a short drive from all Durham, NC apartments, is the location of the largest surrender of the American Civil War. 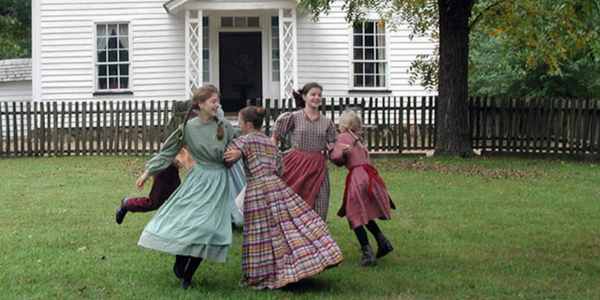 The site is dedicated to preserving the North Carolina’s Civil War history and educating the general public about the role of the Bennett Place. Here, you will find interpretations of 19th century farm life and military re-enactment of the Civil War. The Visitors Center hosts a small museum and a theater that show a 17-minute film. Admission is free to the public. Events at the site are normally free or very low cost. Open Tuesday through Saturday, 9 a.m. to 5 p.m. 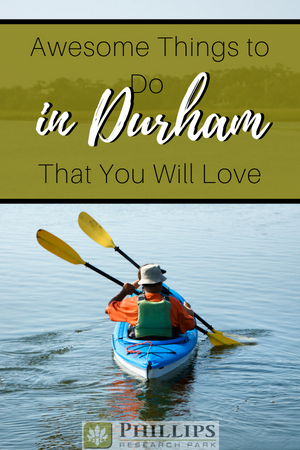 If hiking or spending time in the great outdoor is right up your alley, then these next two Durham “to do” spots are just for you. Located in the heart of rural NC, there is so much outdoor space, state parks, and recreation areas to enjoy. One of the best things about Eno River State Park is that it is so convenient to apartments in Durham. It gives all Triangle dwellers a chance to get outdoors. There are five scattered access areas, each just minutes from town amenities. 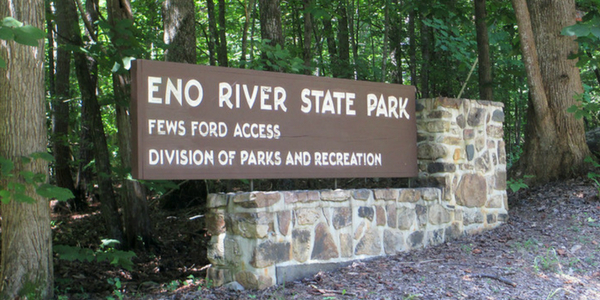 The Eno River flows past mature forests, historic mill and home sites, and beautiful bluffs. With nearly 30 miles of trails along a swift stream, it is a popular spot with photographers, hikers, walkers, sightseers, and anglers. Backcountry camping is permitted at individual and group campsites. However, all equipment must be carried in. As water levels allow, canoeing and kayaking is also permitted. The park also offers special activities for children and guided hikes. Check their calendar of events for more information. Have you seen the children’s movie “Madagascar”? Then you know what a lemur is. They are a class of primates that are known for their long tails, and they are the most threatened group of mammals on the planet. The Duke Lemur Center (DLC) is the world’s largest and most diverse collection of lemurs… right in our own backyard! The DLC offers several tour types that can be reserved by calling or submitting an online form. There are 10 distinct tour types that will fit anyone’s interest level and budget. The basic Lemur Live public tour is just $12 a person. If you are new to the area or are in the market for a new apartment, we invite you to come take a tour at Phillips Research Park Apartments.